Emotions haven't quite fully settled yet, I don't think I've fully got rid of all the anger but I am starting to move past it. 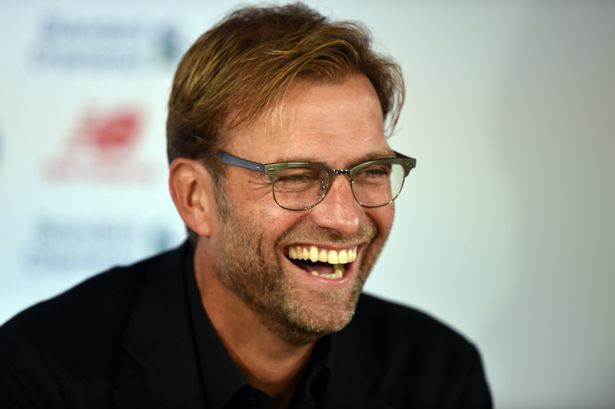 A summer of top class purchases underneath Jurgen Klopp is enough to get me excited. Last night however cannot be forgotten, the Reds must learn from it and never let it happen again. Things started pretty well for Liverpool as the travelling fans were in full voice in Basel. It was a relatively slow start but one that was rewarded in the latter stages of the second half with a beautiful goal from Daniel Sturridge. His outside of the boot effort curled perfectly into the back of the net and Jurgen Klopp's side were finally underway. Sevilla had offered little in the first half and whilst Liverpool weren't exactly dominant, there was no fear there, it felt like we had them on the ropes. Especially after almost bagging a second from a Dejan Lovren header only to see it disallowed for offside thanks to an interfering Daniel Sturridge. Well, what a crazy season that was! In August last year the majority of us would have snapped your hand off for 4th and guaranteed Champions League yet we found ourselves right in the mix of a Premier League race, something unfamiliar to many younger Liverpool fans. We pushed all the way to the last day but unfortunately some mistakes in our last few matches meant it was Manchester City's to lose, nevertheless it was a fantastic season for the Reds under Brendan Rodgers. Liverpool started the season home to Stoke and I was in sunny Tenerife! 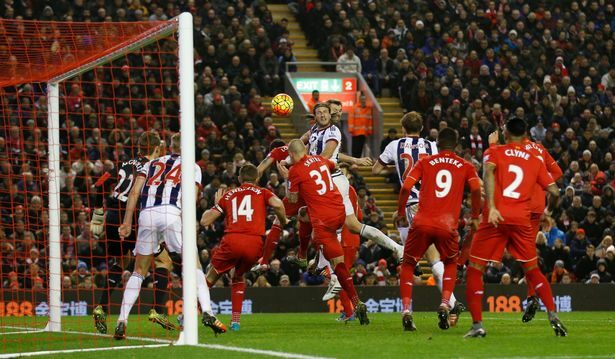 This game will be remembered not for Daniel Sturridge's winning goal but for Simon Mignolet's superb double save to deny Stoke a penalty and a Kenwyne Jones follow up. Who'd have known the season we would have after that display of heroics? The next game for the Reds was Aston Villa away where Daniel Sturridge scored once again to give the Reds all three points. 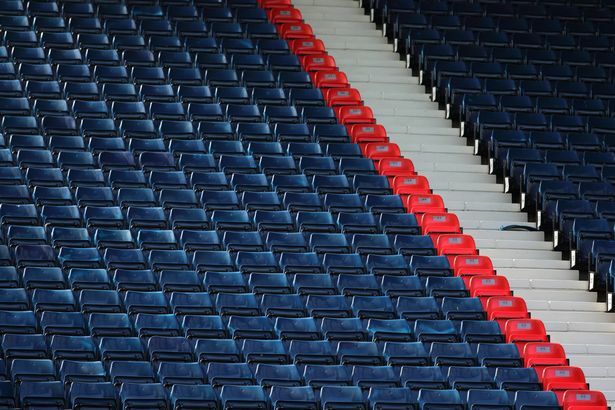 Well it's all over, the season has finished and that "what the hell do I do with my weekends?!" feeling has began to really settle in for many so why not spend a moment of your time having a read through The Liver Bird's pocket sized season review taking a look back at the Reds journey after finishing 7th in the Premier League. After Brendan Rodgers was unveiled in June Liverpool spent July on a North American tour. Italian Fabio Borini was also brought to the club in July a player Brendan had already worked with. Ian Rush and Robbie Fowler also showed their faces on the North American tour as Liverpool tried to prepare themselves as best they could for the season ahead. 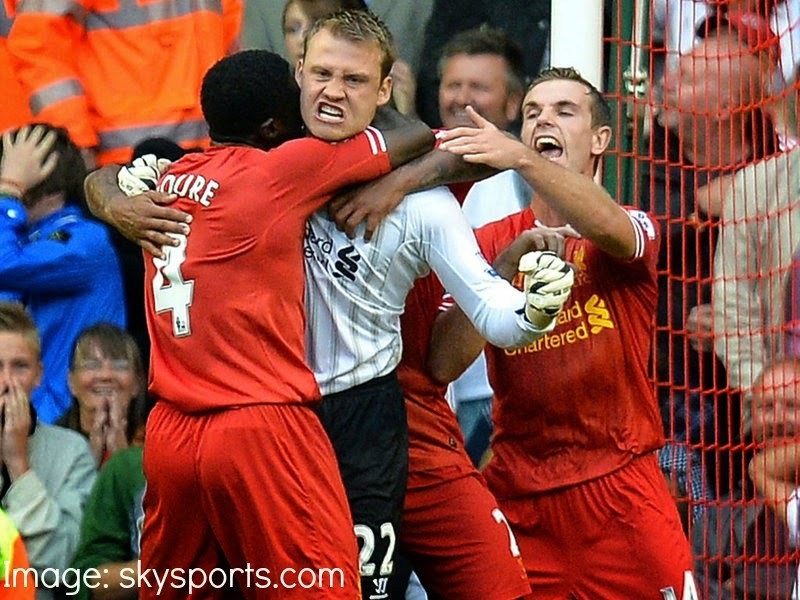 Liverpool played their last game of the season on Sunday against QPR at Anfield. 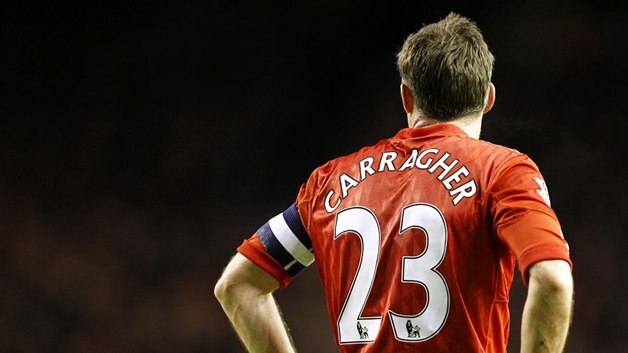 The game didn't have any real purpose behind it though and so all of the focus was on the retiring Jamie Carragher. A guard of honour saw the number 23 out onto the pitch with The Kop creating a massive mosaic for the defender. Carragher ran towards the Kop with his son and daughter and thanked the Anfield faithful, it was an emotional moment and finally it seemed real that Carragher was in fact retiring. In terms of the game though it may not have meant anything, but Liverpool still wanted to finish their season on a high. 7th place isn't an achievement really and finishing behind Everton just rubs more salt in the wound but here's hoping Brendan buys well in the summer and we can push on next season finding some consistency on the way!